5227 Diospyros digyna - Black Sapote Dwarf grafted var. Reinecke ? Black Sapote, Chocolate Pudding Fruit, Black/Chocolate Persimmon. Reinecke is a compact grower excellent choice for container culture and small yards. The fruit is large and round. 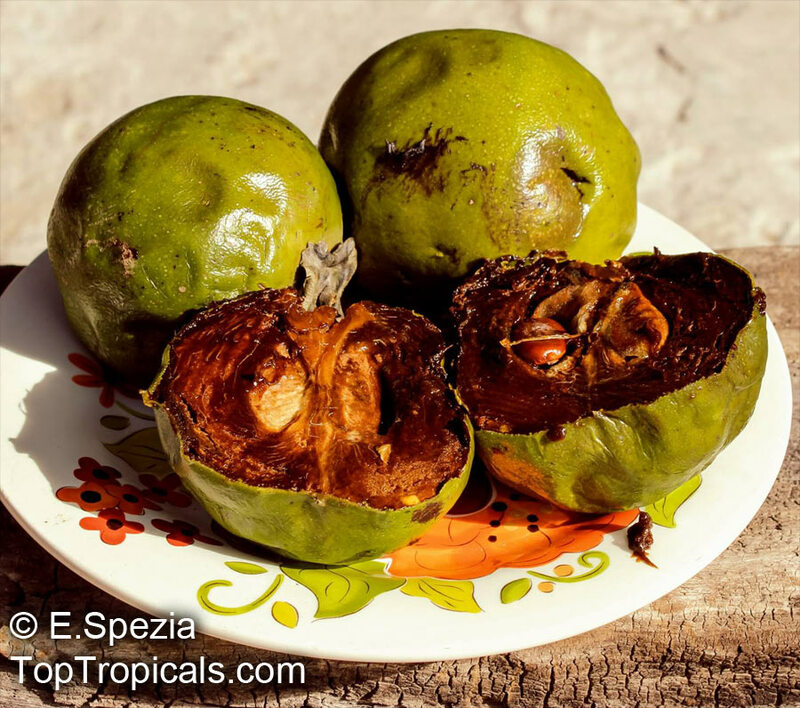 One of the most exotic tropical fruit, sweet black pulp tastes like chocolate pudding. Cold tolerant to light freeze, flood tolerant. Fast growing tree, heavy producer. Grafted trees will start fruiting this year or next year. 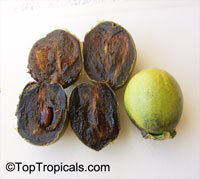 5226 Diospyros digyna - Black Sapote grafted var. Berneker ? Black Sapote, Chocolate Pudding Fruit, Black/Chocolate Persimmon. 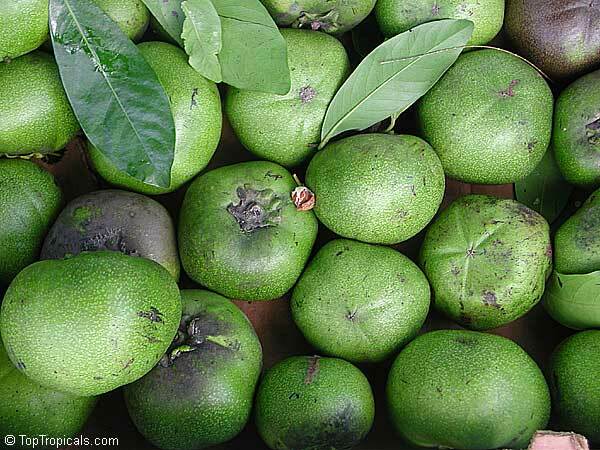 Australian variety Bernicker (or Bernecker) is a prolific producer of nearly spherical, medium to large fruit, seedless or with very few seeds and of superior quality. 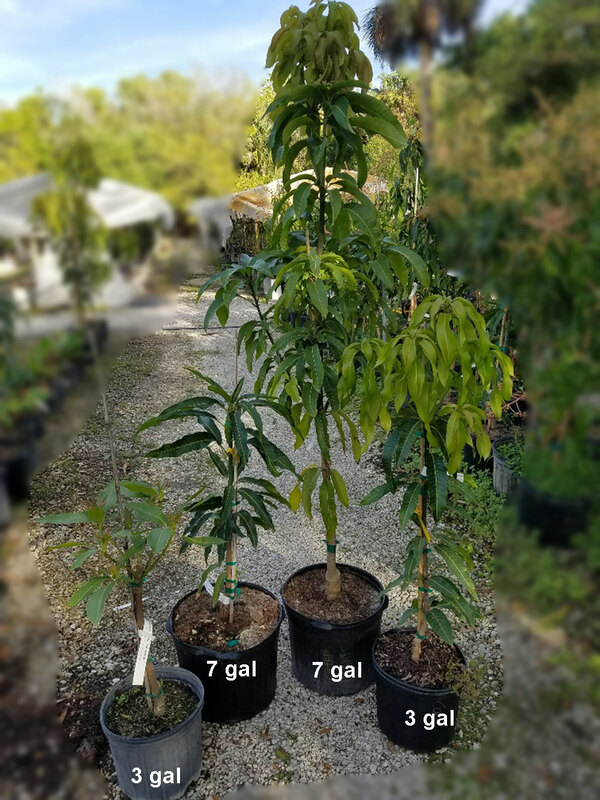 1073 Diospyros digyna - Black Sapote grafted var. Black Beauty ? Black Sapote, Chocolate Pudding Fruit, Black/Chocolate Persimmon. One of the most exotic tropical fruit, sweet black pulp tastes like chocolate pudding. Cold tolerant to light freeze, flood tolerant. Fast growing tree, heavy producer. Grafted trees will start fruiting this year or next year. 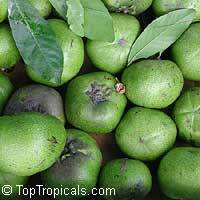 4407 Diospyros digyna - Black Sapote grafted var. Black Beauty, Large size ? 5225 Diospyros digyna - Black Sapote grafted var. Willson ? Black Sapote, Chocolate Pudding Fruit, Black/Chocolate Persimmon. 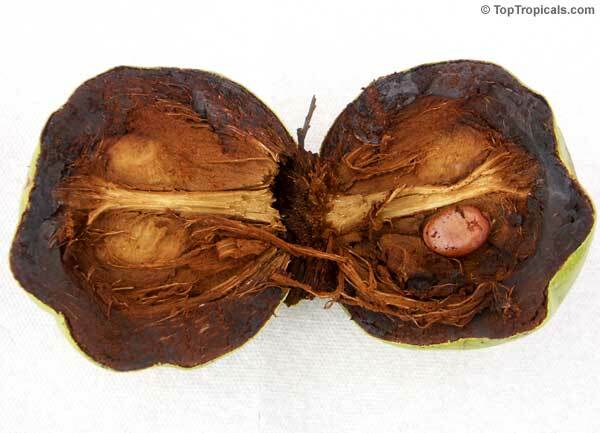 One of the most exotic tropical fruit, sweet black pulp tastes like chocolate pudding. Cold tolerant to light freeze, flood tolerant. Fast growing tree, heavy producer. Seedlings will fruit within 2-3 years.